The 100mm aluminum grinder is a ultralight shredder of Marijuana made of aluminum with a mesh and pollinator compartment to collect and separate the resin. Almost like Grassleaf grinder but cheaper. 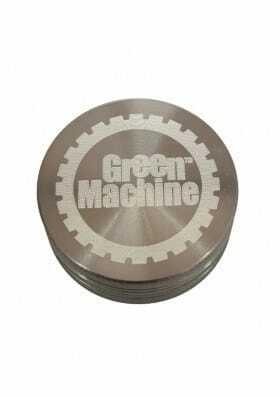 The 100mm Aluminum Grinder is a shredder of Marijuana buds made of aluminum, very light and easy to carry. It includes 4 pieces, blades and rack with compartment for extracting trichomes being also magnetized. In fact, it is almost like the pollinator grinders of the highest quality, such as Grassleaf grinders, except for the protective rubber, which is not include. It is a very good option if you do not have much money <​​strong> or if you do not want to invest much in Marijuana devices.